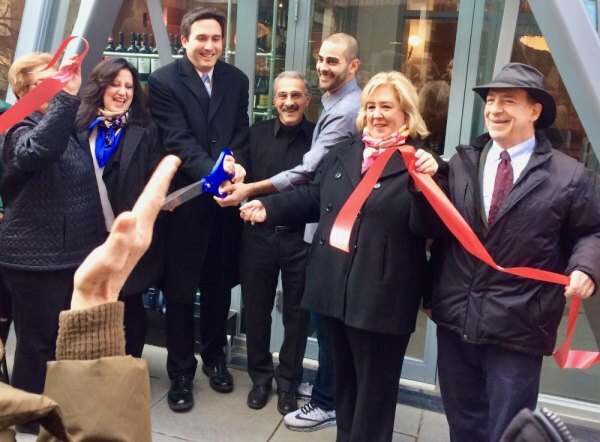 It's was a big day for Roosevelt Island as a community that's waited for Kaie and Alex Razaghi to reopen for over three years welcomed them with an upbeat ribbon cutting, organized by RIOC. 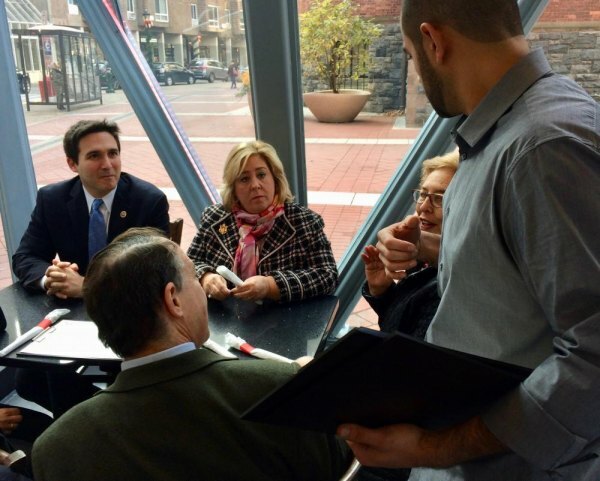 Council Member Ben Kallos did the honors as an eager crowd waited to be the first customers. Here's what we saw. 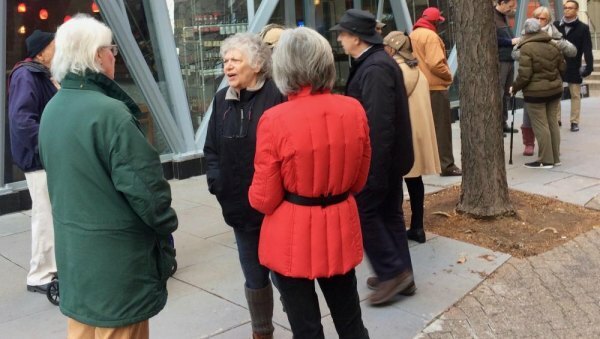 Before the ribbon cutting, residents waited to be the first inside. 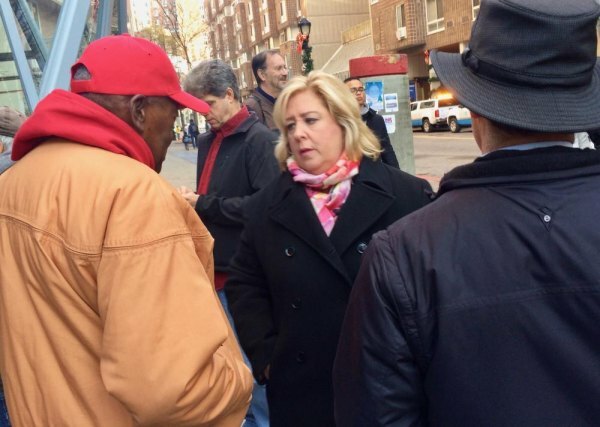 State Assembly Member Rebecca Seawright used the time to chat with constituents. 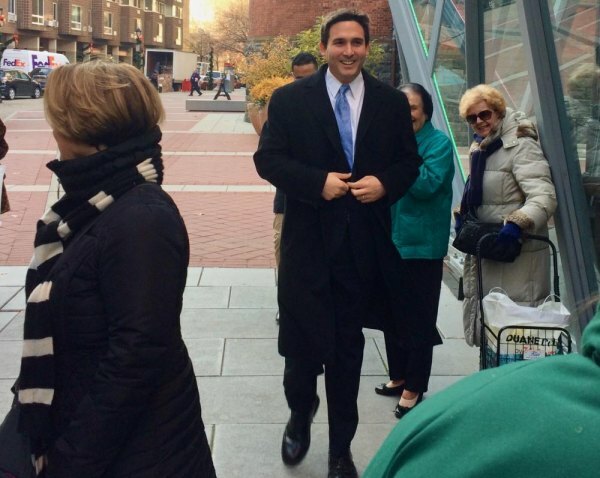 A breathless Ben Kallos arrives, carrying the al-important scissors. 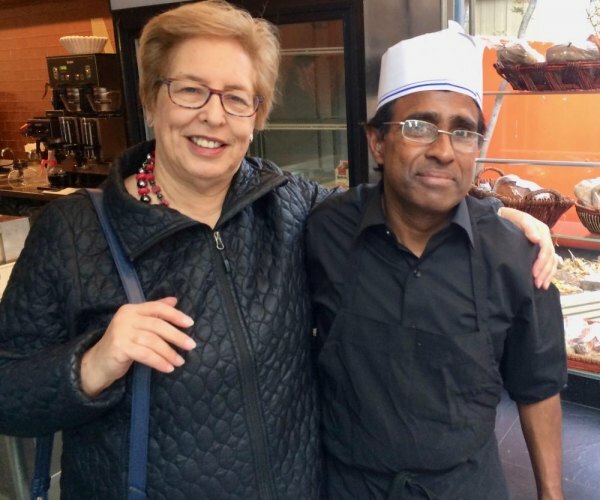 Wendy Hersh and Mary Coleman were in the first wave of customers. 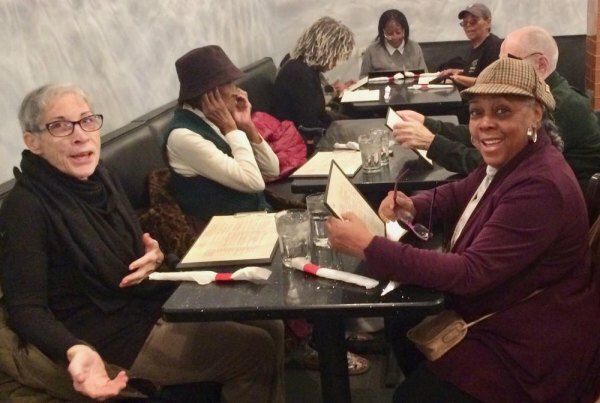 After dealing decisively with that ribbon, elected officials stop to enjoy Nisi too.